Ensure your data can be used effectively in any computing environment through format conversion with FME. Create data conversion workflows quickly and easily in FME Desktop’s no-code, graphical interface that promotes productivity with features aimed at minimizing effort. Once configured, translations run automatically in the background freeing you to work on other tasks. And for added convenience, save workspaces for future conversions, effortlessly adjusting components to suit changing conditions. Often times data migration between systems requires more action than straight format translation to accommodate the different data models and content specifications of the computing environments. FME’s library of over 400 transformation tools enable you to manipulate data’s components to fit the precise requirements of the target system, so it will function properly. 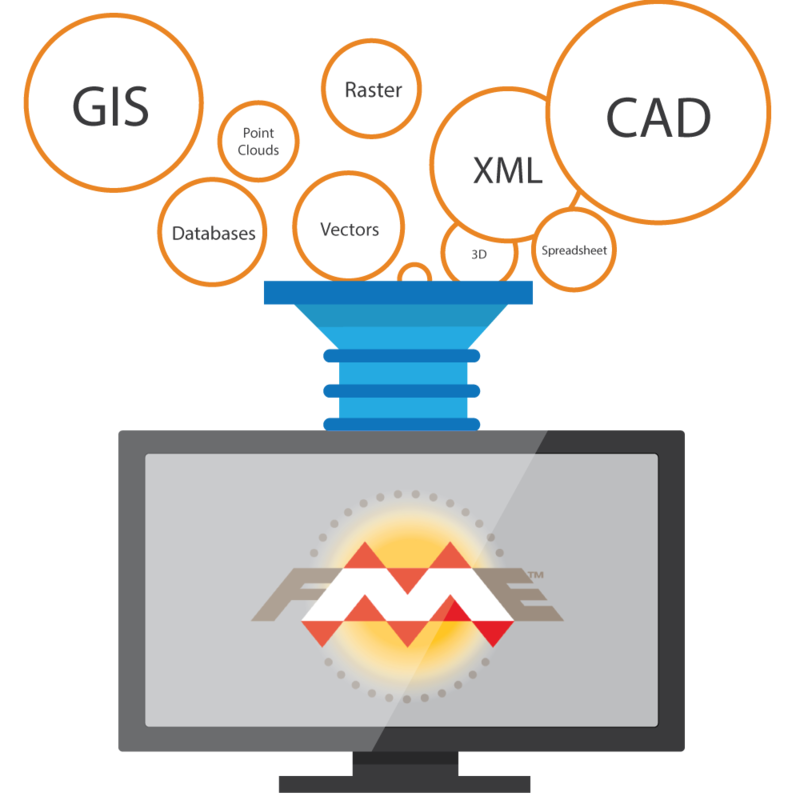 Learn more about FME's data transformation capabilities.